Triple Crown makes use of what we already know about operant and classical conditioning with their Training Clicker. 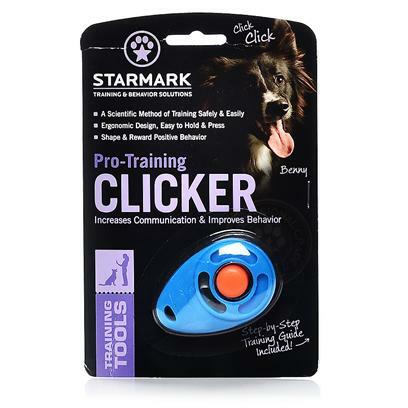 This clicker is such a useful training implement because it allows you to mark the exact moment a desired behavior occurs, which statistically, speeds up the learning process by up to 50%. Constructed of rust-proof stainless steel, this clicker is ergonomically designed to comfortably fit in your hand. It features a button that is raised, allowing you to click without taking your eyes off of your dog. A porthole makes this device easy to attach to a keychain, wristband or lanyard. This clicker comes with a free step-by-step training guide to help you get the most out of your training sessions.